While consumer adoption of virtual reality technology hasn’t yet taken off in the way some predicted, it’s clear now that the business world already sees VR as viable, high-impact technology for a number of purposes. We’ve noticed a growing interest in one area: sales and marketing. The value that VR can bring to the table for sales and marketing is particularly clear for certain kinds of products. Large, complex products that are difficult to showcase are a prime target, because bringing a VR rig to a show floor or customer site is often far easier. Sometimes it is actually impossible to effectively showcase a product at a trade show given the limitations of your booth size. With a well-designed VR experience, you can give people a look at your product at scale, and even let them manipulate it, configure it, and more. WorldViz has deep experience building VR experiences for sales and marketing purposes, and we’ve created VR solutions for companies like Zap Surgical Systems and STERIS who make large, complex medical products that are difficult if not impossible to transport around the world. STERIS makes hospital room equipment including complex surgical boom and sterilization equipment, and they often want to show customers entire layouts, not just one particular product in isolation. This kind of demo is very difficult for a salesperson to convey unless they are in a physical space with the actual products and the prospect, but with VR, STERIS can deliver this demo anywhere they want using high definition 3D models of their products. You can read a case study about how STERIS is using VR here. 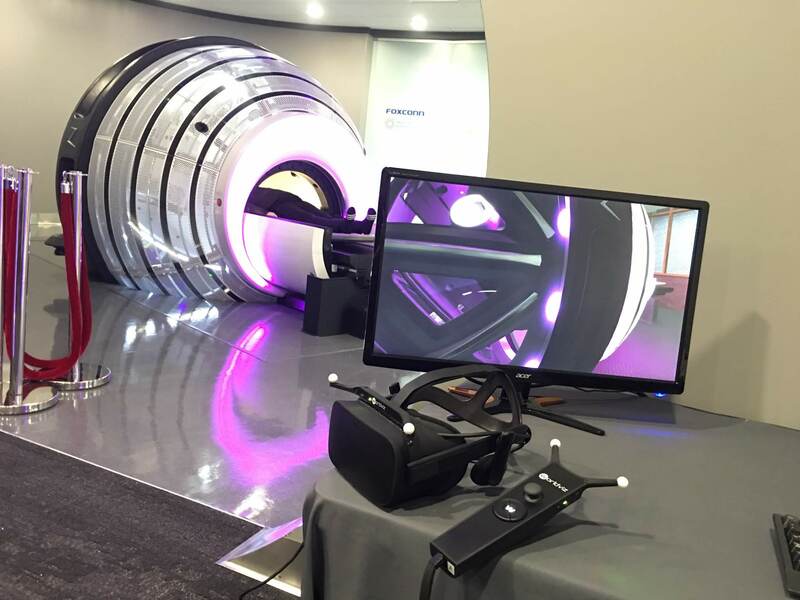 In a similar fashion, Zap Surgical Systems uses VR to showcase their Zap-X, a large, fully self-shielded radiation device for brain cancer treatment. The VR solution we created for them lets people put themselves in the perspective of a patient undergoing the Zap-X treatment. Learn more about Zap Surgical’s use case here. Both of these VR experiences are multi-user, so the prospect doesn’t need to be alone in VR. A sales rep can actually be inside of the experience at the same time, guiding prospects through the demo in the way that makes the most sense and navigating through the experience at precisely the right pace, however the sales conversation unfolds. 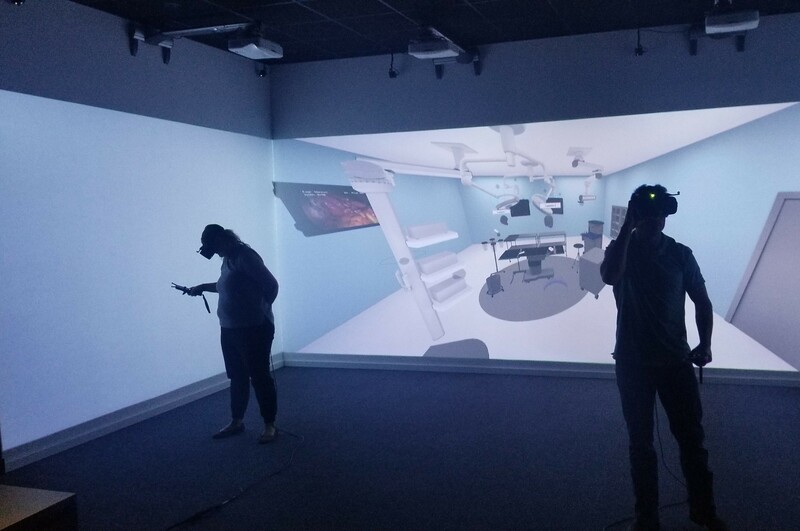 Because our VR solutions can be local or cloud-based, these VR demos can even be given remotely, letting you tap into a global prospect base and deliver powerful demos without traveling and transport costs. We’re convinced that VR experiences for sales and marketing are effective and memorable not just because VR is new, exciting technology, but because they allow sales people to show off products and environments in ways that aren’t possible without the technology. VR for sales is picking up serious steam, and the train is just getting started.